Poros is a seaside town that combines mountain and sea. The green landscapes are followed by beautiful shores and create sceneries of unique style. It is located in the southeast part of Kefalonia and administratively belongs to the municipality of Eleios – Pronnos, 14km from Argostoli. In this region flourished one of the four ancient towns of Kefalonia. According to historic sources the residents of Pronnos possessed the south part of the island and Poros was their harbour. Remains of this ancient town are discovered in various areas of this municipality. 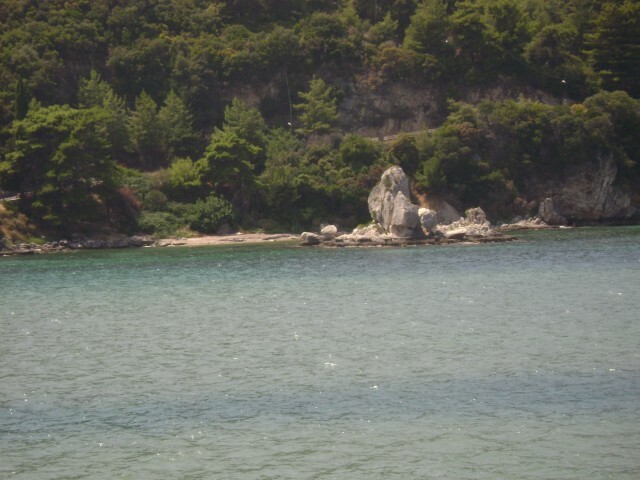 Poros is one of the developed, in tourism, areas. More and more tourists show their preference to it every year. 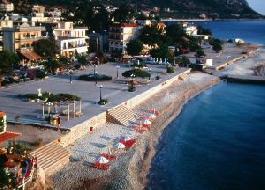 And this is due to the fact that Poros has contemporary hotel units, taverns, cafes, bars and malls to do your shopping. The beach of Poros is considered one of the best in the island and attracts thousands of visitors. It is a rather cosmopolitan beach, with a length of more than 2km, surrounded by small, protected ports and golden shores with crystal clear waters. Poros is of great archaeological interest. In Bourtzi location, the excavations brought into light a dome-shaped grave of Mycenaec period. It is one of the most important findings and proves that the region was inhabited since 1400BC. The grave is one of the best saved in the island. It is built with square gigantic rocks with a diameter of 7m. Many golden jewels, copper tools and seals were found.